WUDINNA, SA, Australia – Ramsey Bros has partnered with AgriSync to extend the company’s commitment to providing excellent service and support to their farmer customers. Through the AgriSync service management tool, Ramsey Bros expert advisors can deliver additional support and problem solving remotely through any smartphone. This provides another method to help their farmer customers solve problems, make decisions and maximize uptime. For over 65 years, Ramsey Bros has sold machinery and demonstrated the importance of developing strong, enduring relationships with their farmer customers. This company core value has led Ramsey Bros to consistently operate at the forefront of the industry in South Australia, showing their commitment to customers by providing high-quality service and support their customers have come to expect. 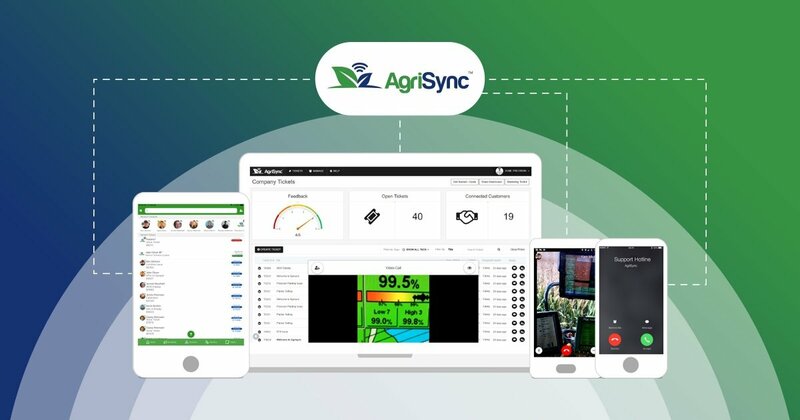 Ramsey Bros has introduced AgriSync to current customers and is utilizing this new technology within their service calls.